Add a contemporary touch of beauty to any seating arrangement with Honnally accent chairs. 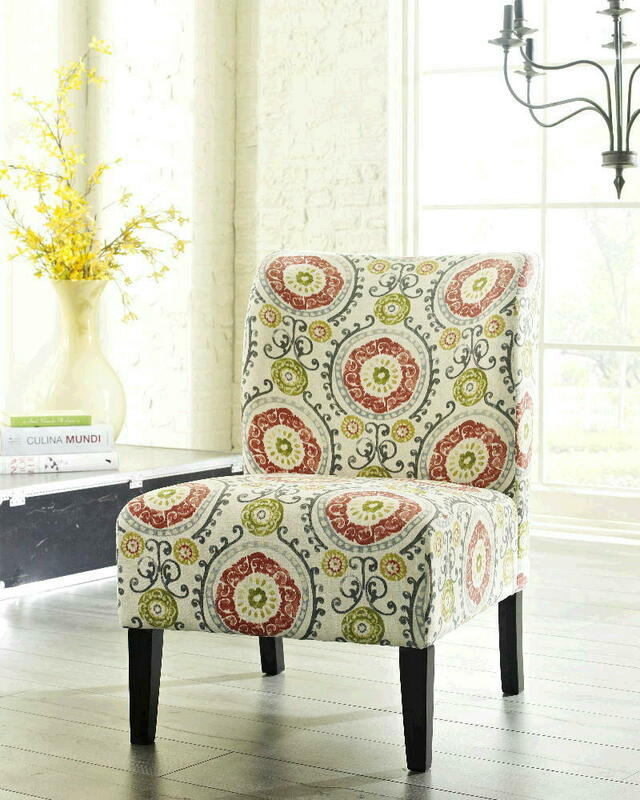 Your eyes will be drawn to the colorful patterns and guests will centainly find comfort. Assembly required.